It is time to develop a holistic approach to tackle far-right ideology and terrorism and immigration lies at the core of it. 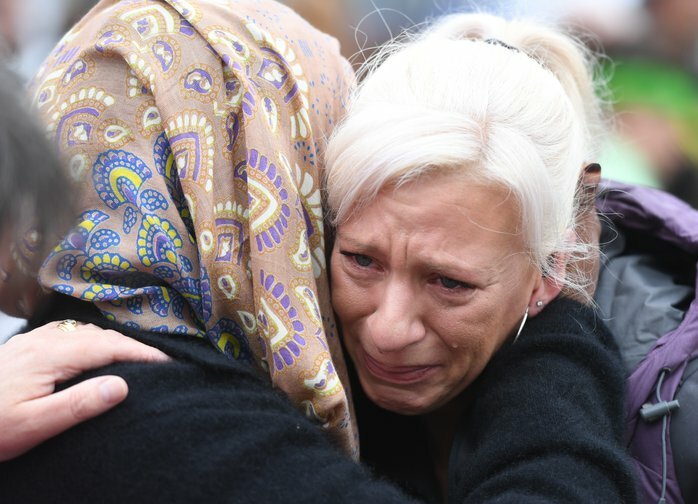 People pay their respects for the victims of the mosques attacks in Christchurch, New Zealand, March 17, 2019. Guo Lei/Press Association. All rights reserved. The terror attack in Christchurch in New Zealand has raised many questions about the responsibility of the media, particularly social media, in spreading racism, far-right terrorism, and questions about how the values of the West are under threat. A fundamental question, however, is overlooked: the decades-old immigration policies and narratives of Australia, Europe, and the USA that feed into the rhetoric of far-right terrorism on ‘migrants’ invasion’. A poster of the Australian government about the ‘boat people’ says: ‘You will not make Australia home’. The poster is a visual manifestation of the Australian government’s policy of stopping refugee boats before they arrive in Australia and diverging them to other countries for off-shore asylum processing. Off-shore immigration control has been contemplated by European states and the EU and is now partially accepted. The EU border agency Frontex coordinates naval operations in the Mediterranean Sea; the European Commission sends financial help to countries such as Turkey, Libya, Egypt, Morocco, and Senegal to strengthen border enforcement bodies and conditions in camps and detention centres; it also signs bilateral repatriation agreements to send ‘unwanted’ immigrants back. These policies are now the ‘new normal’ in migration management in Europe. They all aim to prevent unwanted immigrants from arriving in European territories. Probably, the most striking companion of ‘You will not make Australia home’ in Europe is ‘the hostile environment’ formulated by then Home Secretary Theresa May. The ‘Go Home’ vans, as part of Operation Vaken, were underpinned by the same mentality as the Australian poster. This political rhetoric may be beneficial for its formulators, as it gives them a chance to show the voters how tough they are on ‘illegal immigrants’. However, it also does something else: it reproduces an image of the ‘immigrant’ who does not belong ‘here’: ‘This is not your home; go back where you come from’. And this image, and the political-cultural rhetoric underlined by it, has a long and disturbing history. The fear of the ‘white race’ becoming overrun by ‘non-white races’ first appeared through the arrivals of slaves in Europe and USA, then deepened and spread through the colonisation and arrival of people from the colonised countries in Europe. Eugenics, which was developed in parallel with Social Darwinism, served to generate ‘scientific’ methods to protect the ‘white race’ through regulating reproducing practices. In this way, it sought to conserve ‘civilisation’ against the ‘barbarians’ who were always ‘at the gate’, who were always lurking in the dark to contaminate ‘us’, ‘our home’. Although this scientific racism was discredited with the defeat of Nazism, it must be noted that it was powerful in Europe and USA until the late 1930s. Now it is back in far-right ideology, which is globally spreading across Europe, USA, and Australia. ‘This is not your home’ posters and ‘Go Home’ vans allegedly targeting ‘illegal immigrants’ are put into practice in this dangerous and violent historical-cultural context: ‘our’ country was not yours 300 years ago, and it is not yours today so ‘go home’. The ‘manifesto’ of Anders Breivik, who killed 77 people in Norway in 2011, and the statement that allegedly belongs to the Christchurch killer all point at the same direction. Mainly racialised immigrants are constructed as a threat who will outnumber ‘the whites’ in the number games of Eugenics – hence the justification for their harassment, abuse, and extermination. An immigration approach that is historically and culturally conscious: Racism is not a relic of the past. It is well and alive today. Any immigration narrative and discourse that ignores this fact risks reproducing and justifying racism and strengthening far-right ideology. The ‘home’ rhetoric is built upon the painful and violent historical experience of slavery, scientific racism, colonisation, and white supremacy. ‘Home’ is not a static formation; it changes and transforms along with the people in it. Suggesting otherwise is giving a lease of life to the far-right. Halting immigration is not a solution to the rise of the far-right: In an interview for the Guardian’s series on the rise of populism, former Secretary of State and presidential candidate Hillary Clinton identified immigration in Europe as the factor that ‘lit the flame’ of far-right populism; she continued that ‘I admire the very generous and compassionate approaches that were taken particularly by leaders like Angela Merkel, but I think it is fair to say Europe has done its part’. This approach justifies and gives a moral ground to the far-right by re-confirming their argument that immigrants are the problem, not racism. Going beyond the ‘economic assets’ justification: Most immigration management policies are now underlined by an economic mentality. It is argued that some immigrants are economically beneficial to our economies and market needs; therefore, they are welcomed to contribute. This approach significantly ignores the cultural-social dimension of immigration and reduces immigrants into economic assets which can be made redundant once their jobs are considered done. Its ethnocentrism overlooks the needs and demands of immigrants as humans. It dehumanises immigrants and, hence, feeds into the far-right ideology. It is time to develop a holistic approach to tackle far-right ideology and terrorism and immigration lies at the core of it. It is now time to rebuild ‘the home’ as an ever-expanding inclusive house. The question is: can we trust the politicians who sent out the ‘Go Home’ vans in the first place for this task?